Laurence Anyways is a visually astonishing look into a ten year relationship between a male-to-female transsexual and her lover. 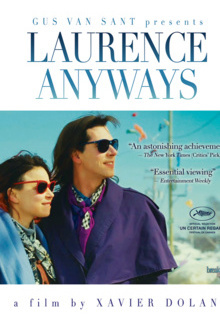 Gus Van Sant Presents Canadian wonder boy director Xavier Dolan's Cannes Winning LAURENCE ANYWAYS... In the 90s, Laurence tells his girlfriend Fred that he wants to become a woman. In spite of the odds, in spite of each other, they confront the prejudices of their friends, ignore the council of their families, and brave the phobias of the society they offend. For 10 years, they try to live through this transition, and embark on an epic journey which, unbeknownst to them, may cost Fred and Laurence themselves and each other.